Arab Spring is once again in the air and a wave of democratic giddiness is sweeping the Middle East and North Africa. 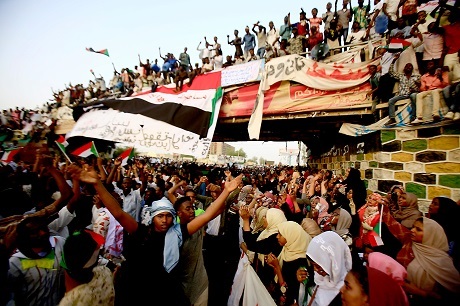 The idea that Sudan and Algeria can recover through free and fair elections has a seductiveness that is hard to resist – if you ignore the strong sense of deja vu. But whatever way you look at it, the safety of protesters, a peaceful transition of power, and the prevention of conflict are paramount.Any popular revolt has its own dynamic, so major Arab powers must use what little leverage they have over Algiers and Khartoum to produce favorable outcomes. The protesters have demonstrated admirable restraint in the face of state violence; it is past time for reciprocation from the regime side. The old guard must step aside, not because fellow Arab governments want them to, but because their own people are so tired of political repression and falling living standards they are braving bullets for a better future.Jamal Mahjoub, the author of A Line in the River: Khartoum, City of Memory, likely spoke for many Sudanese in a recent opinion piece in The New York Times when he wrote: “[President Omar] al-Bashir’s fall is a moment that seems charged with infinite possibility, the chance to redeem and restore. There is no easy way forward, but it begins with the truth, the freedom to burn off the illusion which Sudan has toiled for so long.”Thus far, the regimes in Algeria and Sudan, despite incurring the opprobrium of their publics, have mercifully not attempted to apply the tactics of Saddam Hussein or Bashar al-Assad or, for that matter, the Iranian regime. Nevertheless, they know only too well that if the situation spirals out of control, fate may not be kind enough to merely consign them to the dustbin of history. The lessons of Muammar Gaddafi’s overthrow and death in neighboring Libya are all too fresh and frightening.Still, the ongoing drama in the two North African countries begs the question: what constitutes the most satisfying outcome? After all the innocent blood that has been spilled since the eruption of the Arab Spring revolts eight years ago, the immediate objectives of the protesters should be transitional civilian rule, the release of political prisoners, the lifting of restrictions on freedoms, and respect for human rights. As for free and fair elections, accountability for abuse of power, the separation of religion and state, and limits on the military’s powers, opposition groups in Algeria and Sudan can cross that bridge when they come to it.Algerian protesters shout slogans in the capital Algiers, April 10, 2019. Photo: Ryad Kramdi / AFP By all accounts, the trigger for the peaceful movements for change in both countries was the lack of employment opportunities. Ordinary citizens have tolerated palpable economic hardship for years as a trade-off for political rights and liberties. Those freedoms, however, have existed largely on paper. Compounding the sense of despair has been stagnation in almost every conceivable field, be it administration, job creation, economic diversification, health and education, and science and technology.In Algeria, people have long chafed under an opaque system that denies them the benefits of the country’s oil and natural gas exports. A “deep state” comprising generals and intelligence officers, loyal businessmen, ruling party officials and bureaucrats runs the country with little accountability and mostly out of sight. The only means Algerians have at their disposal to “throw the rascals out” – quinquennial parliamentary and presidential elections – is viewed as nothing more than a charade.Today, young people have reached such a level of desperation due to the repeated re-election of an almost incapacitated president, Abdelaziz Bouteflika, since 2009 that the nation’s memory of the brutal 1990s insurgency or politicians’ invocation of the unraveling of Syria no longer has a deterrent effect. The familiar bogey of chaos and bloodshed that gave Algeria’s shadowy leadership virtual monopoly over political and economic power has suddenly lost its capacity for instilling fear.In Sudan, on the other hand, endless wars waged by Islamist generals have led to the dismemberment of the country and revolts in a number of states. Up until 2011, the government of Omar al-Bashir was awash in revenue from oil exports to buy off public loyalty and pay for military campaigns. But the partition of Sudan into two countries that year deprived the regime of its major oilfields and, to all intents, set the stage for the current uprising. A witches’ brew of high unemployment, rising cost of living, dwindling foreign-exchange reserves, and international ostracism has since driven the country to the brink of state failure.Sudan’s then-prime minister Omar al-Bashir (L) meets Egypt’s deposed president Hosni Mubarak in Cairo, July 12, 1989. File photo: AFPFrom the concessions announced by the ruling cliques in both Algeria and Sudan so far, it is obvious that they are maneuvering to keep real power in their hands while appearing to accommodate popular demands. Naturally, the groups spearheading the protests are rejecting what they consider cosmetic changes and demanding transition to civilian rule among other things. Against this backdrop of unresolved tensions, Arab powers that do not wish to see more failed states in the region must throw their weight behind diplomatic efforts for a smooth transition.Were the protesters in Sudan and Algeria to succeed in removing the most odious regime figures and ramming through a roadmap for restoring genuine democracy, the question of what role political Islam should be allowed to play in a future dispensation could still become a thorny issue. In Sudan, the regime’s Islamist ideology is widely seen as the principal reason for the secession of Christian-majority South Sudan and at odds with the ethos of a tolerant, multi-ethnic and multi-religious society.Sudanese protesters outside the army headquarters in the Sudanese capital Khartoum, April 12, 2019. Photo: Ashraf Shazly / AFPIn Algeria, the rehabilitation of Islamists following the conclusion of the “dirty war” against armed groups worries intellectuals and liberals who witnessed the atrocities and violence that killed more than 100,000 people between 1991 and 2002. Quoting author and journalist Kamel Daoud, the Financial Times says Islamist parties have been tamed by the secular regime over the years with cabinet roles and public contracts. But they will seek to assert their power in the post-Bouteflika era.Although there are so many things that could go wrong, there is little doubt the youth-led protests of Algeria and Sudan are driven by genuine hopes for a freer and more prosperous future. But given the large number of actors with vested interests in maintaining the status quo in either country, those spearheading the protests would do well to remember a quote attributed to Turkey’s long-serving leader Recep Tayyip Erdogan early in his career. Democracy is like a train, he is reported to have said. You get off once you have reached your destination.Arnab Neil Sengupta is an independent journalist and commentator on the Middle East. 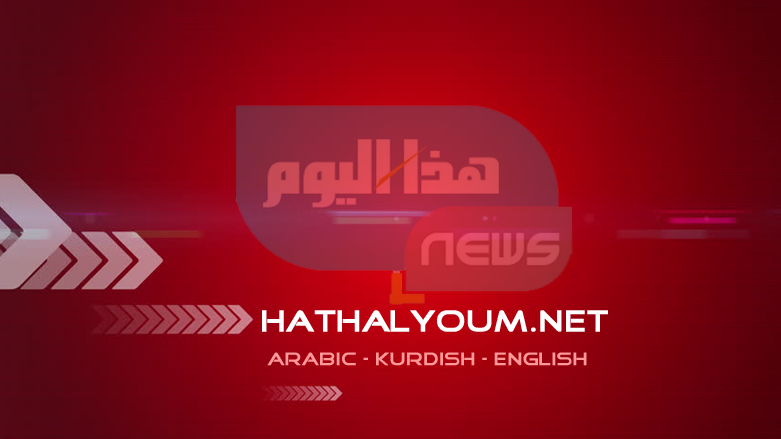 The views expressed in this article are those of the author and do not necessarily reflect the position of Rudaw.